The spicy, smokey rub gives this ribeye steak recipe great flavor. You can try this rub recipe on a variety of meats. You can find more great grilling recipes like this on our site. Combine sugar, pepper, paprika, cumin and salt on a platter. Coat steaks evenly with the mixture. 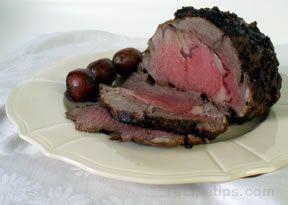 Let sit in the refrigerator for 30 minutes, then bring to room temperature. Grill steaks over direct heat for 4-5 minutes on each side for medium rare, 6 minutes on each side for medium, 7 minutes on each side for medium well, more time for desired doneness. 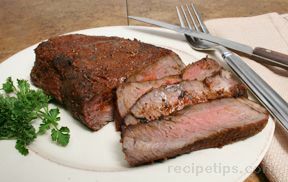 Remove steaks from grill and cover with foil, allow the steaks to rest for 2-3 minutes. "I doubt why would you like to apply the dry rub before cooking , this may cause juice seep out !"